AKIPRESS.COM - India’s expanding its oil stocks to avoid external price and supply shocks in the future. 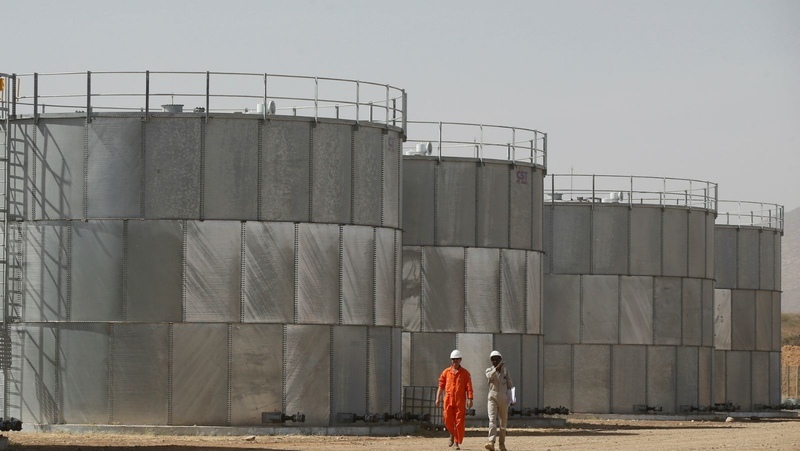 On June 27, the Narendra Modi government announced a plan to build two new caves full of strategic petroleum reserves (SPRs) to maintain the country’s supplies for up to 12 days during exigencies, Quartz reported. One of the caves will be built at Chandikhol in Odisha to store up to 4.4 million tonnes of crude oil; the other will be a 2.5 million tonne facility at Padur in Karnataka. This is besides the three SPRs India already has in Visakhapatnam, Mangaluru, and Padur. Together, these three sites have a total capacity of 5.33 million tonnes. India imports about 80% of its fuel needs, which makes it vulnerable to external instability. As a result, it has been working on a long-term plan to tackle the global vagaries instead of merely reacting every time. The Modi government’s decision becomes significant in the light of the recent rally in global crude oil prices, which recently pushed domestic retail rates of petrol and diesel prices to an all-time high. Typically, governments buy oil when it’s cheap and stores it in the SPRs for release when prices spiral out of control. “Construction of additional SPRs in the country is expected to augment India’s energy security, which is extremely crucial as India is the third-largest energy consumer after China and USA,” ratings agency Care Ratings said in a report on June 28. These oil reserves gain further value in light of escalating global trade tensions. In May, US president Donald Trump announced the return of sanctions on Iran. Despite downplaying its effect, reports suggest India may be already looking at alternatives. The reserves not only provide a buffer during global macro-economic instability, but they can also help plug demand during exigencies like wars. For instance, dwindling oil supply during the first Gulf War (1990-91) badly hit India. Without any substantial reserves, domestic oil prices spiralled, fuelling inflation and depleting India’s foreign exchange reserves. The country was then forced to go pledge gold with the International Monetary Fund to keep its economy afloat. Building oil reserves is anyway a standard practice globally. The US has petroleum reserves in Louisiana and Texas. In 2007, Japan announced plans to share its strategic reserves with other countries. In 1968, Belgium, France, Germany, Italy, Luxembourg, and the Netherlands agreed to maintain such stocks of up to 65 days’ worth of domestic consumption.